March 6, 2017 | www.adc.org | Washington, D.C. – A few moments ago Donald Trump signed another Executive Order (EO) aimed at banning Arabs and Muslims from entering the U.S. This EO was signed after his first attempt at the ban was stopped in court. The administration’s attempt to tailor the order so it conforms to court rulings does not take away from the fact that this is still and Arab and Muslim Ban. The new order is the same in nature as the old one. It prevents admission for nationals from six countries, Iran, Libya, Somalia, Sudan, Syria and Yemen. 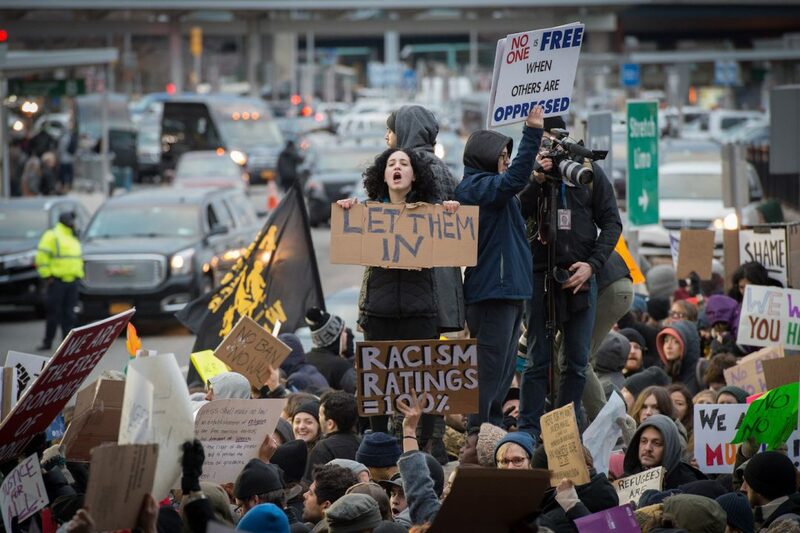 Further, the order puts a complete ban on refugees entering the U.S. The new ban does have slight changes. Iraq has been removed from the list. There will also be a phase-in period, with the ban taking full effect on March 16, 2017. The ban does not apply to lawful permanent residents (LPRs), and current visa holders. Additionally, ADC has been informed that the 60,000 visas which were revoked after the first ban was signed are now reinstated. ADC will be providing additional updates and information as they become available. Please follow ADC on Twitter and Facebook for up to date information. ADC will be hosting a Facebook Live later this afternoon. As a result of these actions taken by this administration, ADC anticipates a large influx of cases, which may strain our financial resources. We can only continue our work with your generous support. With your support ADC can expand its legal and advocacy services, and continue to protect the community. Take time and make a contribution today by clicking here. If you or anyone you know may be affected by this travel ban, please contract ADC for legal advice at 202-244-2990 or legal@adc.org.